La Aurora International Airport, also called La Aurora Airport or Guatemala City Airport, is located in zone 13 of the Capital. The air terminal is the highest in the entire Central American region, since it is located at 1,602 meters above sea level, it makes 29 international flights a day to the main points in the United States, Mexico and Central America and some important destinations in Europe. 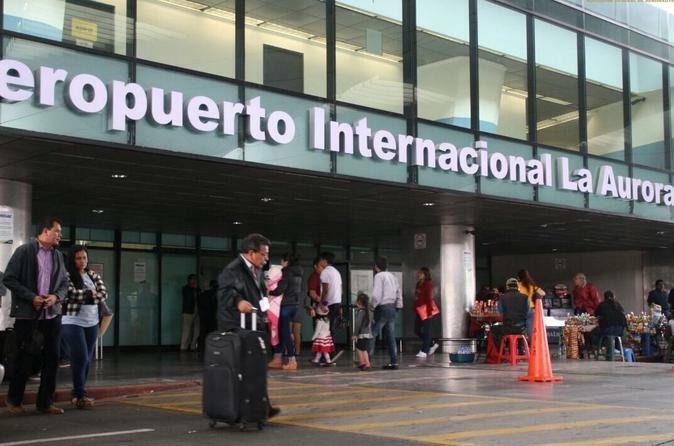 Three and a half hours before your flight departs we will be picking you up at the door of your hotel to direct you to Guatemala City so you can board your flight at La Aurora International Airport. Please note that you must be at least two and a half hours before for Central American flights and at least four hours before if your flight is to the United States, this additional one hour's drive from Antigua Guatemala to Guatemala City. The driver / guide will be leaving you at the main exit gate of the airport and will drop your bags and take them to the entrance area and passport check.